ANNUALS: D&AD 2004. | STUFF FROM THE LOFT. In 2004 Nick Bell became President of D&AD, one of his first duties was to choose the designer for the next annual. He chose me, or CDD to be more precise. Back in 2004, the D&AD Annual was one of the few places you could get a concentrated hit of good advertising and design, consequently they were collected. Getting the chance to design one was a great honour. 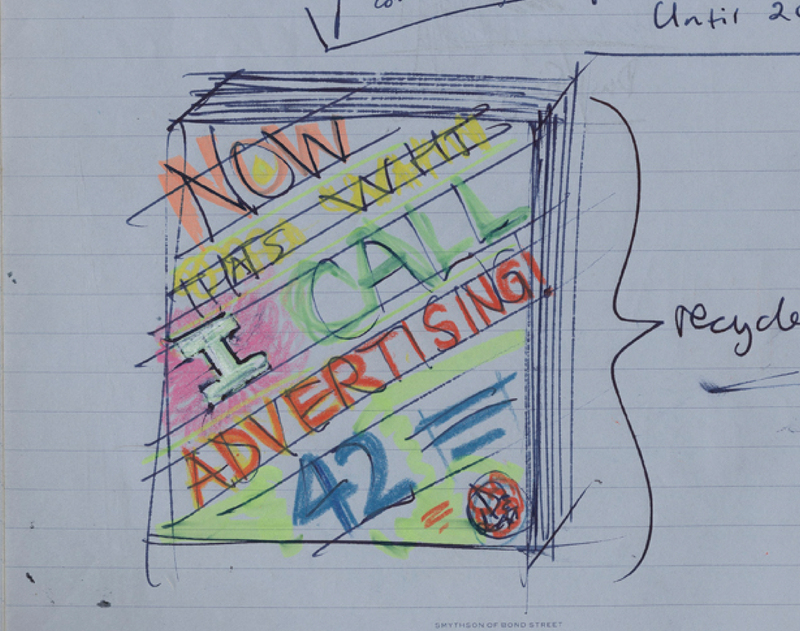 1st IDEA: If a thought is printed in the D&AD Annual it’s considered out of circulation. So the idea was to print the annual on overtly recycled, browny papers with a warning sign on the front saying ‘DO NOT RECYCLE’. 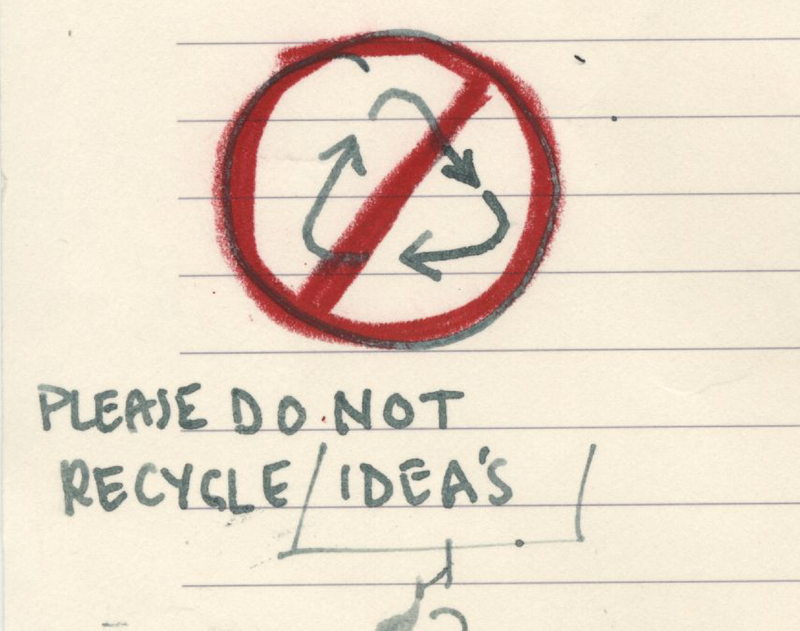 I liked the cognitive dissonance this would create, it looks ethical but it’s anti-recycling? 2nd IDEA: Spoof the ‘Now That’s What I Call Music’ albums. Less rational, but it would be cool for D&AD to be a bit cheesy and kitsch, possibly a reaction to some of the previous annuals that took themselves so seriously. I also thought there’d be a lot of mileage in the music angle, in parodying music ephemera. 3rd IDEA: A pencil makes you immortal. A pretty straight forward idea based on the thought that if you win a pencil you and your work will live forever, being admired by generations, or civilisations. The visual was three D&AD pencils shot against a goldy, dusky sky to look like the Pyramids. A bit like that old Benson & Hedges poster.